DSM Auto-Ordering system – sit back and enjoy the automatic orders for items you have sold. Once you have activated the Auto Order option and Purchased Auto orders credits, every item you sell will be ordered automatically and shipped to your client. Do not worry! Auto order credit purchased in the main account will be shared between all the Linked accounts. The DSM auto ordering system is using your gift cards balance in source sites to perform purchases – in order to keep your account as safe as possible. Therefore, it is required to first load gift balance in sources for the DSM Auto Order System to work properly. Once the system detects a sale, it will wait 10 minutes before processing the order. At that time, the cart icon will be replaced with a clock icon. The 10 minutes delay gives a buffer for cancellations requests which are made within the 10 minutes from the purchase. 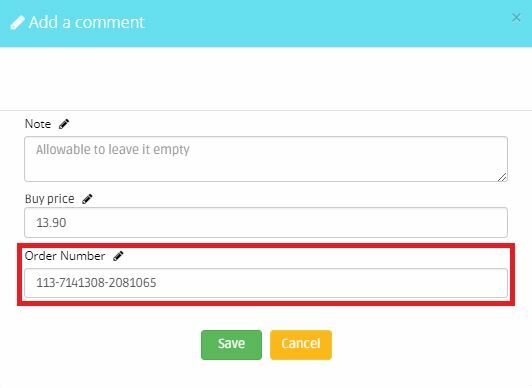 cancellation request at the buffer time will stop the automatic ordering process. A gray cart icon will appear while the system is processing the order, stating that the order is currently in progress. Once the automatic ordering process is done, the cart icon will turn blue with a golden badge on top of it, stating that the item has been successfully auto-ordered. Clicking on the button will popup a window, displaying the last page of checkout process in case you’d like to double-check the purchased price or the shipping details. In-case of a failure of an order, which might be caused by different reasons such as: when an item is out of stock, item’s price doesn’t match the DSM Monitor’s price, insufficient gift balance and etc. The cart icon will turn RED, and a failure email message will be sent to your mailbox. Clicking on the red cart button will popup a window displaying the reason of failure and allowing you to mark the item as “manually ordered” or to re-launch the auto ordering process again. How to Enable Auto-Ordering in your account? First, enable the DSM Auto-Order option by activating the checkbox in the Auto-Order tab in the Sales & Profits page. Second, load some balance to your auto-order account. We offer different packages in different amounts for only a few cents per order. Moreover, only successful orders are counted and taken from the balance. Last, simply add your source website account’s credentials, you may also activate the optional low gift balance alert email notification. 24 hours after an item is ordered automatically DSM Auto-Order system scans source website and looks for tracking information, we automatically get the data and update the order in Sales and Profits page. If the data isn’t found, the system will return every 4 hours to look for it for the next 7 days until found. If an auto order fails and you order it manually, you can still update the order number in the Sales & Profits page and DSM Auto-Order will update the tracking information automatically for you! You are now good to go. From now on, every item you sell will be ordered automatically by DSM Auto-Order system. All you have left is to sit back, relax and enjoy.